Henry Carlos Cejudo is an American Freestyle wrestler and mixed martial artist, born February 9th 1987. Before transitioning into MMA, Cejudo had a very decorated wrestling career where the highlight was winning the 2008 Beijing Olympic Games. He fights in the flyweight division. Henry Cejudo is the 2nd youngest American wrestler to become an Olympic champion, at 21 years of age. He has also won gold in the Pan-Am Games, captured four state championships in high school (two in Colorado and two in Arizona), and was awarded ASICS National High School Wrestler of the Year in 2006. Cejudo also has a silver from the 2006 Junior World Championships and was the first high school wrestler to win the U.S Nationals since USA Wrestling became the official sanctioning body in 1983. After high school he skipped college and decided to train at the Olympic Training Center in Colorado Springs. His brother Angel Cejudo is also a four time state champion in wrestling. Henry Cejudo announced on Twitter that he was planning a career in MMA in January of 2013 and the debut came at 135 pounds March 2nd, 2013 for WFF in Arizona. He defeated Michael Poe by TKO by punches. 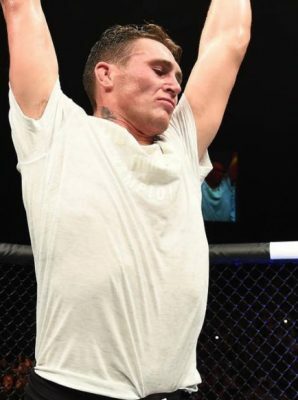 He won for more fights in 2013 and continued winning in 2014, ultimately ending up fighting his last fight of ’14 in December in the UFC. Henry Cejudo signed with the UFC being only the third Olympic gold medalist to step into the octagon. 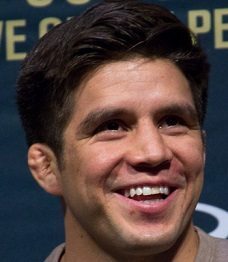 After not being able to compete in the flyweight division due to medical issues, Dana White forced Cejudo to fight at bantamweight and he made his debut against Dustin Kimura. Cejudo defeated Kimura by unanimous decision at UFC on FOX 13: dos Santos vs. Miocic. He made his flyweight debut in his next fight against ranked opponent Chris Cariaso, who he also defeated by decision. Cejudo won two more fights against Chico Camus and Jussier Formiga before getting a shot at the flyweight champion Demetrious “Mighty Mouse” Johnson. The two met at UFC 197: Johnson vs. Cejudo in April of 2016. Cejudo was aggressively going for takedowns and “Mighty Mouse” capitalized with knees to the body which dropped Cejudo, and Johnson followed up with punches to win by TKO in the first round. Henry Cejudo got a coaching gig on The Ultimate Fighter against Joseph Benavidez. They faced off in the finale and Cejudo lost a back and forth fight by split decision. Henry Cejudo faces Wilson Reis on September 9th at UFC 215: Johnson vs. Borg in Edmonton, Alberta, Canada.